Our ability to access content rich online maps has revolutionised the way that we find and consume an unlimited amount of diverse information. Individuals and organisations are using maps on their desktops, tablets and phones as an entry point for finding the nearest health professional or where to locate the nearest housing development. WebGIS, powered by internet maps, is now surpassing the functionality of traditional desktop GIS whilst driving down the whole lifetime cost of ownership. It delivers a level of ubiquity and flexibility that has never been possible before. DynamicMaps is our suite of GIS solutions that has been developed from the ground up to take advantage of these next generation, cloud based technologies. Each product in the suite has a high degree of flexibility built in which means that we work closely with you to deliver a solution that fits the needs of your organisation. With over 20 years’ experience in developing and supporting web mapping and GIS applications, each of our team is recognised as experts in their individual fields. MapThat webGIS – a web based mapping solution that allows organisations to run live queries on its business intelligence data to make more informed commercial decisions. 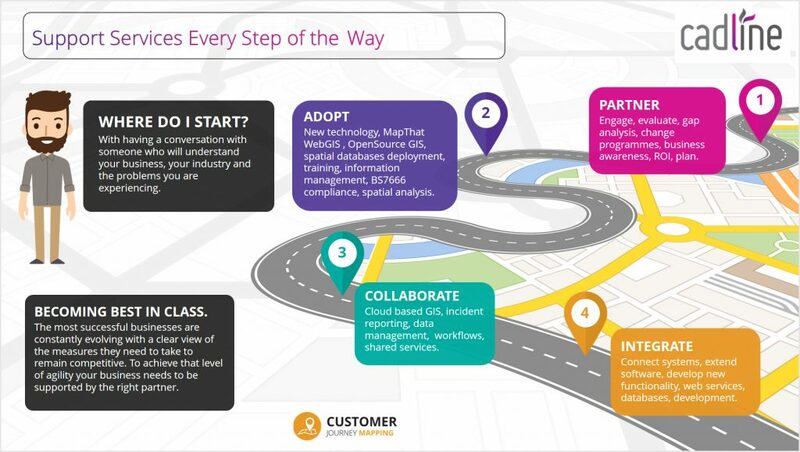 Watch an overview video of the solution or Try MapThat for yourself. Street Naming & Numbering System – is a web-based solution integrated into the DynamicMaps Suite designed to manage your Street Naming and Numbering process. ReportIt – is a DynamicMaps WebGIS module to capture information and report incidents on a map. GML Translator – is a software solution integrated into the DynamicMaps Suite designed to translate Ordnance Survey MasterMap (OSMM) and OS VectorMap Local into geospatial layers in your spatial database. Address & Street Manager – BS7666 compliant LLPG & LSG Management software – is a web-based solution integrated into the DynamicMaps Suite designed to manage your LLPG and LSG. OpenSource GIS – is becoming increasingly popular as it matures into a functionally rich platform. We work with some of the most widely used software including QGIS, GeoServer, PostGIS and OpenLayers and provide support, consultancy and training services to help you with your journey to an open source GIS implementation. Working within the wider Cadline organisation means that we have a unique understanding of the part that GIS plays in supporting infrastructure projects. Working with our colleagues who specialise in engineering design technology, we have delivered integrated solutions that bring together GIS, surveying and design. Watch the video playlist below to see how a single data source can feed multiple software tools at each stage of the project development.